BUCYRUS — For the third consecutive season, the boys basketball teams representing Galion and Bucyrus High Schools met up to begin the winter sports season. Also for the third consecutive season, all under head coach Matt Valentine, the Galion Tigers will begin 1-0 as they downed their hosts on Friday evening’s season kickstarter; 69-40. The rust on both teams was apparent from the opening tip as neither team could find the necessary flow on offense, leading to missed jump shots and turnovers. As the squads struggled to find rhythm, the first quarter buzzer sounded and it would be the visiting Tigers ahead by a slim, two-point margin; 11-9. That is where things began to pick up a bit, at least for Galion. With a new offensive system in play this season and a lot of new, rather young and inexperienced faces on the sidelines, the Tigers were able to post 22 points in the second quarter while their defensive prowess and the Redmen’s lackluster shooting equated to a mere 11 points to put the hosts down at the intermission; 33-20. At the break, junior guard Isaiah Alsip had already racked up 19 points while senior Gage Lackey chimed in with 11 of his own to account for all but three of the Tigers’ 33 points. After halftime, the blue and orange made it apparent that there would be no slowing down their offense as everyone began contributing, whether on the glass, on defense or scoring buckets. 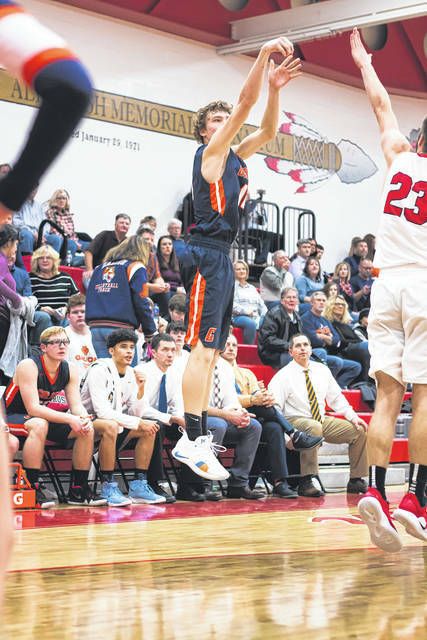 The run-and-gun “O” for Galion continued to be too much for the Bucyrus squad to keep up with and after 24 minutes of play, Galion found themselves up big; 58-30 after Jack McElligott banked in a deep three as the buzzer sounded. Scoring finally subsided a bit in the final period of regulation as the Tigers will held to just 11 points while experimenting with some different line-ups in the process. In fact, on more than one occasion, Galion had five guys on the floor that were either freshman or did not go out for the squad a season ago. The reserves held their own though and allowed just 10 additional points by the Redmen as the Tigers improved to 3-0 under Valentine against Bucyrus; 69-40. Alsip would finish with the high point total on the night, scoring 23 points to go along with four rebounds, two steals, two assists and a block before having to be benched due to foul trouble. Lackey concluded his stellar evening with 21 points and played his way to a double-double as he pulled in 14 rebounds, eight of which came on the offensive glass. Lackey also swiped four steals and netted a block in his breakthrough performance. McElligott would also post double-figures on the night, scoring 13 points in the victory. “That’s a great way to start a season,” states Lackey postgame. “I wasn’t out there going after a lot of points. I was going out there and just trying to have fun and get the win, so, it feels good to hear the numbers I put up there. The freshman trio of Hanif Donaldson, Reece Payne and Carter Valentine all had themselves quite a first ballgame on the varsity level. Donaldson scored six points on the night while grabbing 10 rebounds, recording a steal, dishing two assists and swatting a block. Payne finished with two pints and a rebound and Valentine rounded out the stat sheet with a point, three rebounds, two steals, an assist and a block. “These guys have all been working hard and lifting hard, freshman up to our seniors, they are all athletes across the board and I look forward to see how they all progress throughout the duration of the season,” states coach Valentine after his third win over Bucyrus in his career. Galion’s big men, Stephen Thompson and Tristan Williams, had a bit of an off-night on Friday as Williams scored just three points but did grab eight boards, swiped a steal and recorded a block. Thompson was kept off the scoreboard but did had three boards and a steal. As a team, the Tigers shot 20/47 (43%) from the interior, 6/15 (40%) from the perimeter and 11/18 (61%) at the charity stripe. Galion’s boys pulled in an impressive 48 total rebounds, 18 of which came on the offensive glass. The Tigers also finished with 11 steals, six assists and six blocks, to go along with 16 turnovers, throughout their 29-point victory. 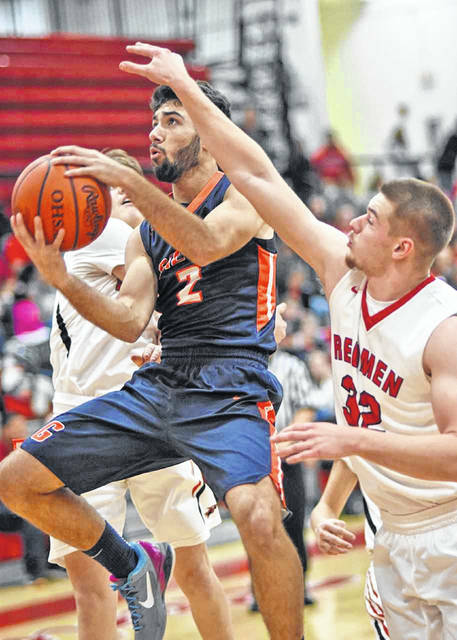 Galion will now look ahead to their first home contest of the season as the Upper Sandusky Rams head to town for winter sports senior night on Wednesday, December 5. Mid-Ohio Athletic Conference play is set to get rolling on Friday, December 7 when the Tigers load up the bus and head to Marion for a clash with the hosting Pleasant Spartans.